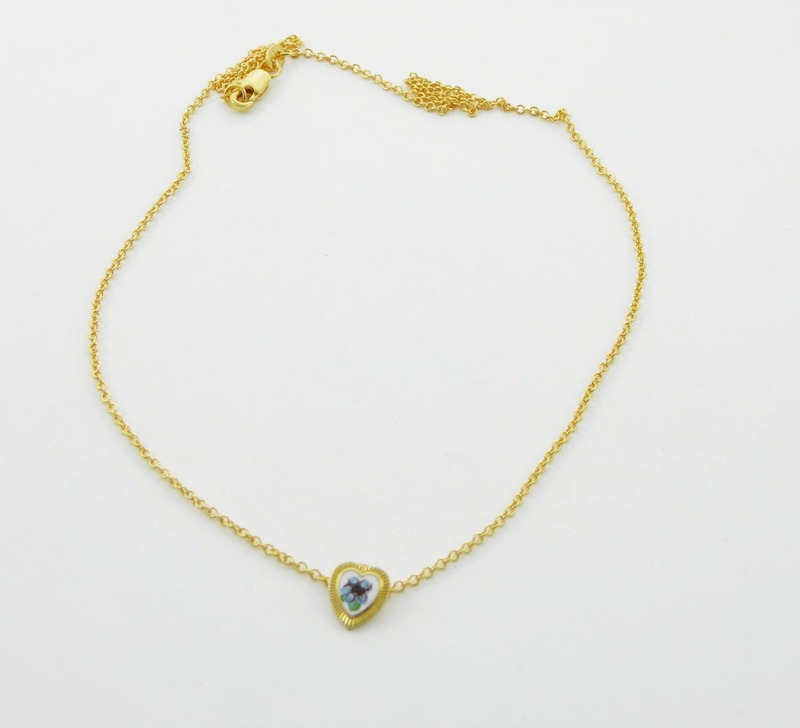 Enamel Blue Flower Heart Charm Necklace. 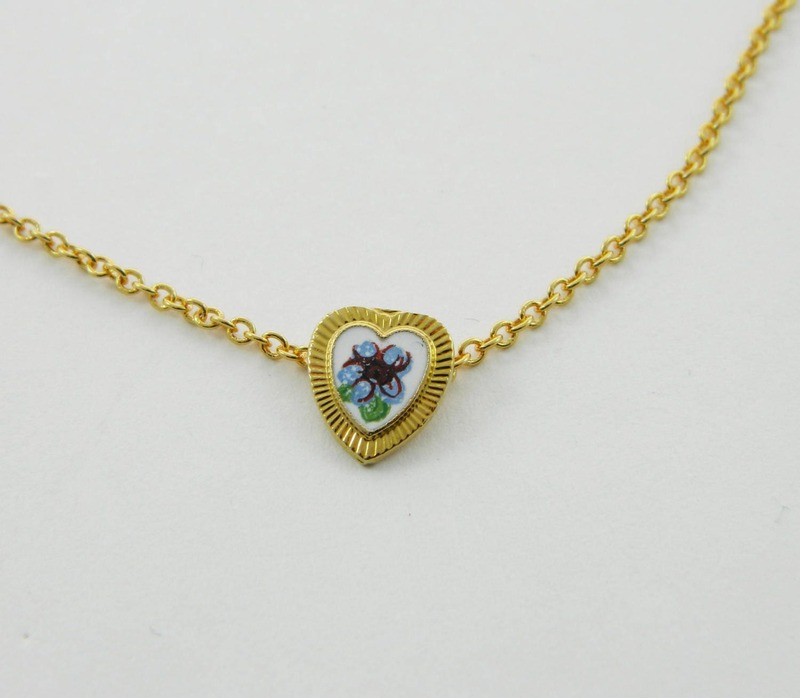 Tiny Vintage Gold Plated Enamel Flower Heart Charm Necklace. Pendant Dimensions: 10mm H x 8mm W.